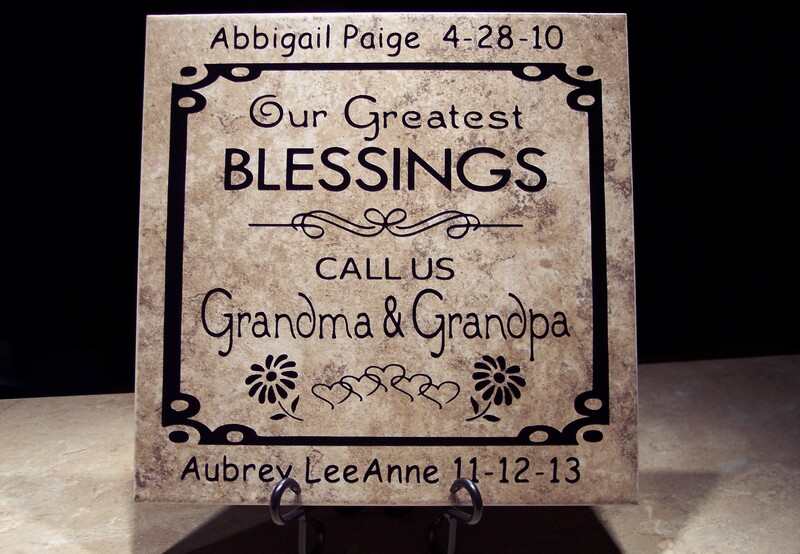 Another example of a personalized tile for Grandma & Grandpa. This one includes the grandchildren and their birthdates. 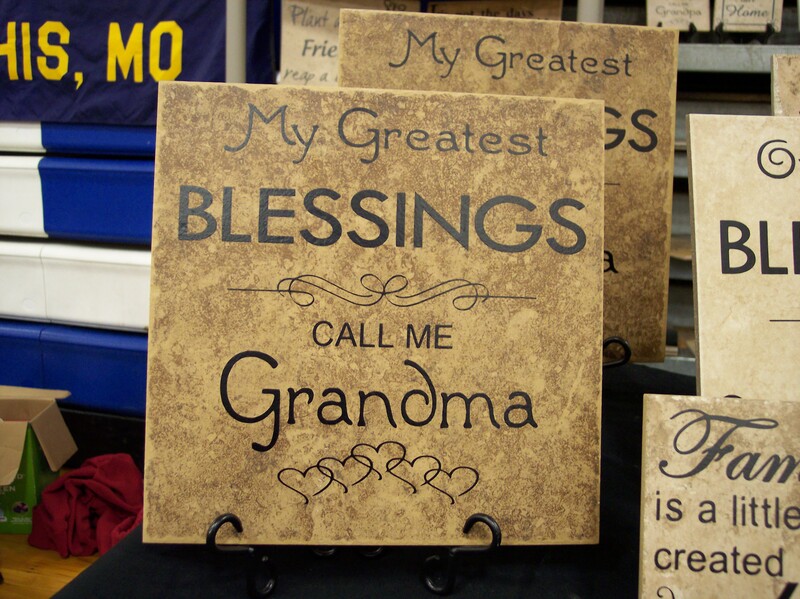 Available in 2 sizes: 12″ tile – $19. Metal stand – $6. 6″ tile – $13. Metal stand – $6. -OR- Wood stand – $4. 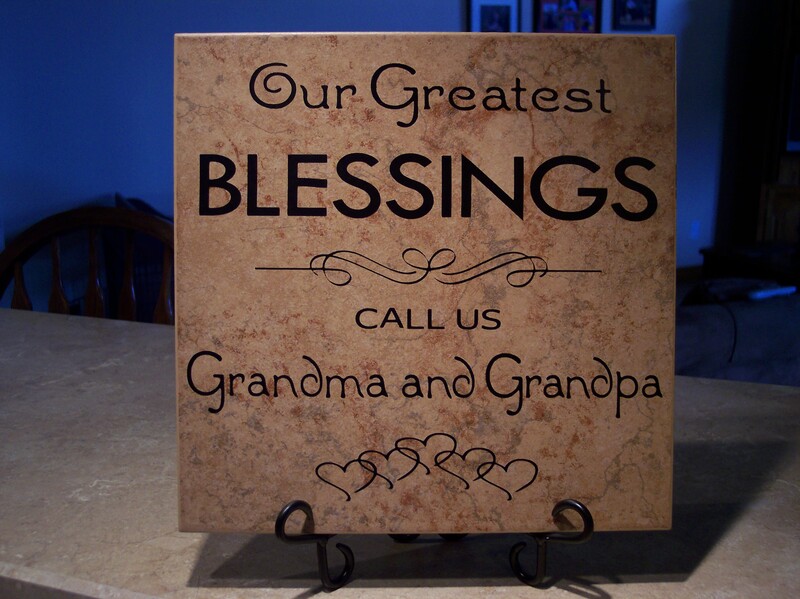 NOTE: We also make these to say, “My Greatest Blessings call me Grandma [or Grandpa]” or “My Greatest Blessing calls me Grandma [or Grandpa]” (in case there’s only 1 grandchild). 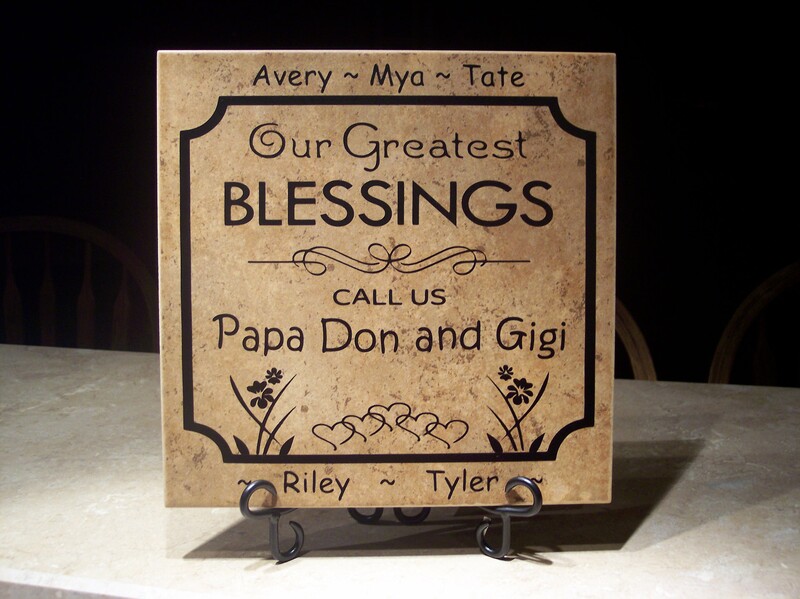 We can also do other variations, such as Papa & Mimi, Gram & Gramps, etc. Just email us at oreillytiles@gmail.com with your request! 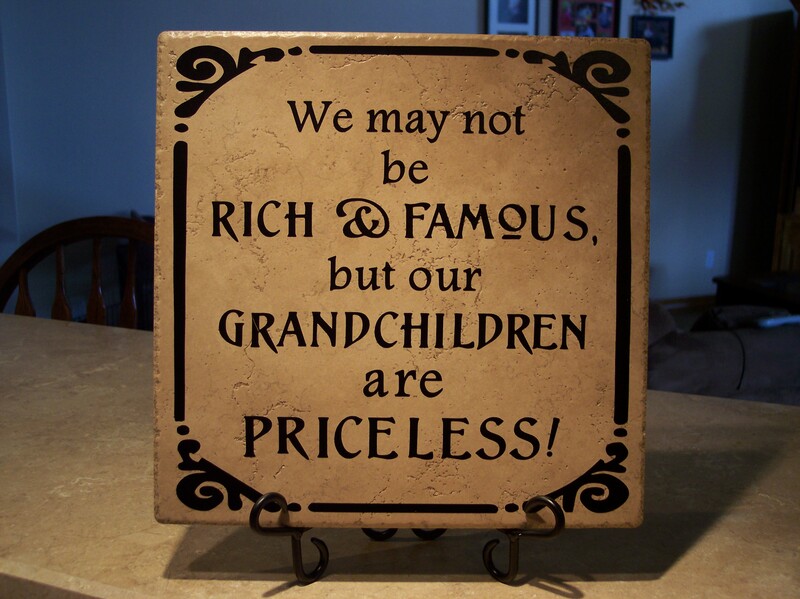 We may not be rich & famous, but our grandchildren are priceless! 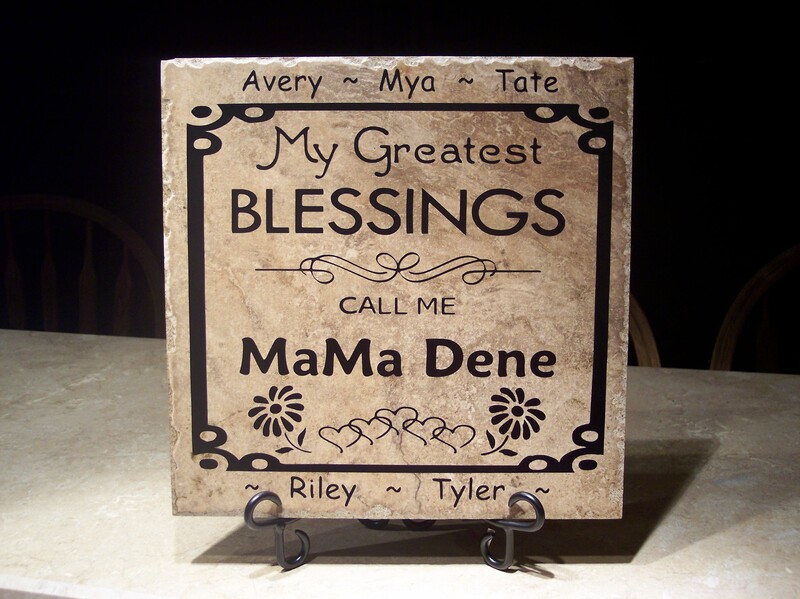 NOTE: We can also do a 12″ personalized tile by adding your grandchildren’s names around the outside edge of the tile. 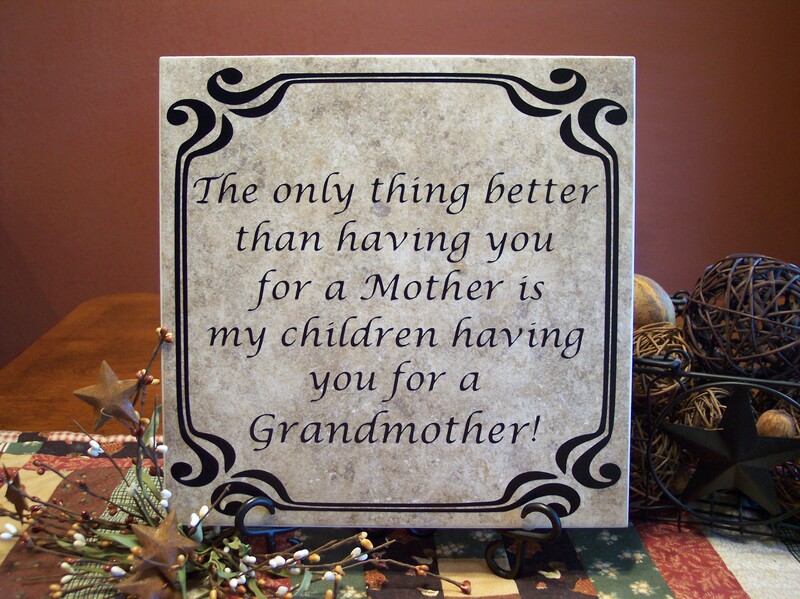 Price – $28 for adding up to 6 grandchildren; $33 for 7 or more grandchildren’s names. You can put up to 12 names around the outside edge, and possibly more if the names are short. Just contact us, and we’ll let you know if it will work. 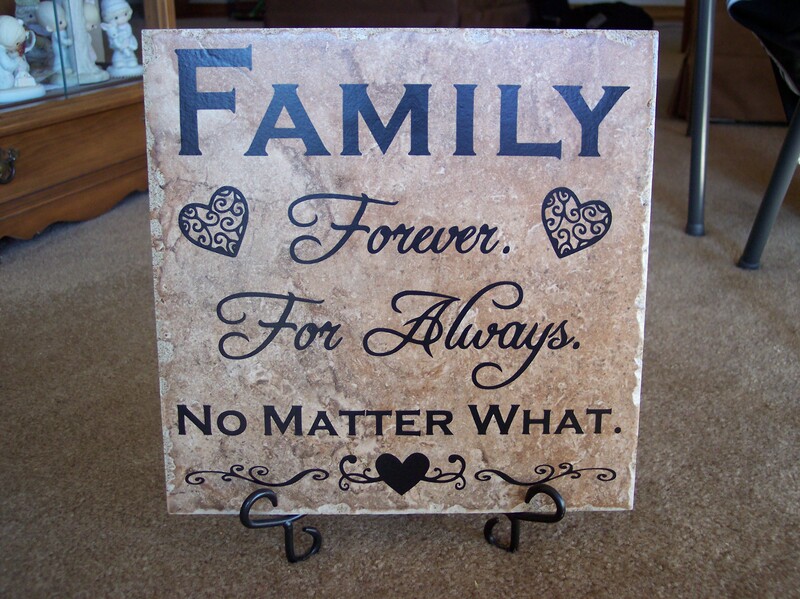 FAMILY – Forever. For Always. No Matter What. 12″ tile – $19; and metal stand – $6. 6″ tile – $13; and wood stand – $4. Also have curly metal stand available for 6″ tiles – $6. 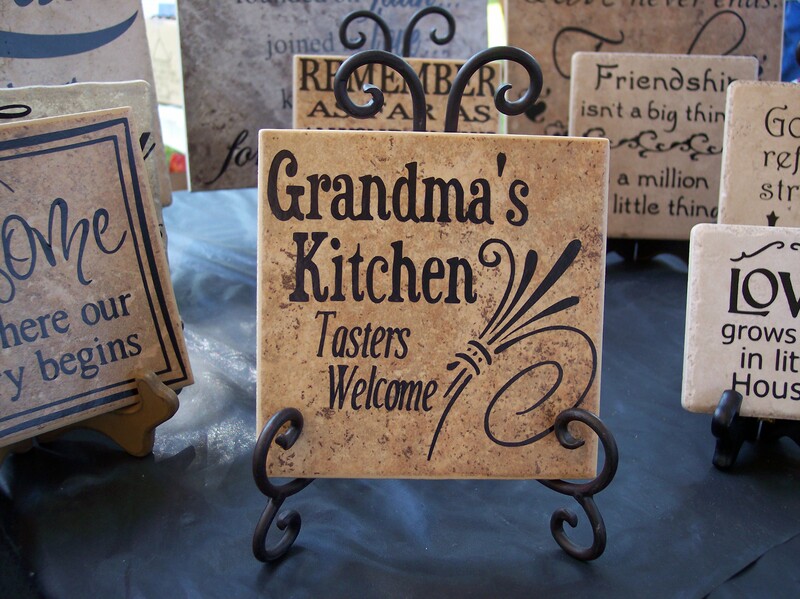 NOTE: This tile can also be made for Grandpa – OR – for Grandpa & Grandma. We also do other variations like Grammy & Pappy, Papa & Mimi, etc. Just contact us at oreillytiles@gmail.com !